Hi, I’m Val Heart! I’m called the Real Dr Doolittle and am a leading animal communication expert and thought leader. I’m also the founder of the HEART System for solving problems with pets. 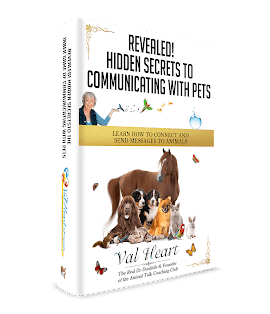 My special guest in the How to Talk to Animals – Animal Talk Training Interview Series is professional Animal Communicator, Susan Francis! Tune in and discover What Your Pet is Teaching You About Personal Healing, the Planetary Harmony… and Elephants! Click here and head over to learnhowtotalktoanimals.com to watch my interview with Susan! Together WE can do our part to help our pets and animals live a natural healthy life. If you enjoy this interview, I urge you to click this link and Register for more wonderful interviews with other professional pet psychics in this Series!